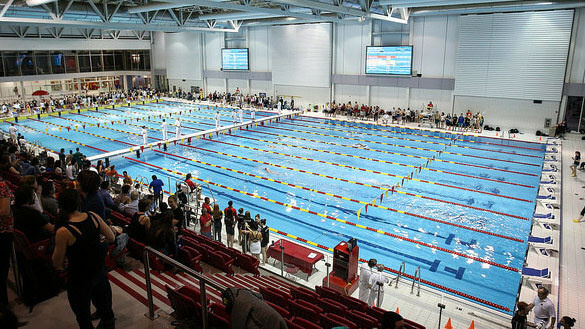 The venue for the Championship is the Sports and Physical Education Pavilion Pool (Pavillon d’éducation physique et des sports (PEPS) pool), located at the heart of Université Laval campus, Quebec City, Province of Quebec, Canada. The PEPS facility routinely holds national-level competitions in synchronized swimming, swimming and water polo (2-3 per year), with up to 500 hundred participants at each of these events. In October 2014, a FINA World Cup (synchronized swimming) was held in the competition pool. It also held a successful 2016 Canadian Underwater Hockey National Championships, which served as a first test event for the World Championships. The Opening ceremony will be organised to comply with 3.3 of the current CMAS Competition procedures, and the final venue for the welcome function is to be determined at this point. The information will be distributed on the Website once determined. The Medal and closing Ceremonies will be organised onsite, and information will be distributed once the location is determined. website and Facebook page once it is finalized.